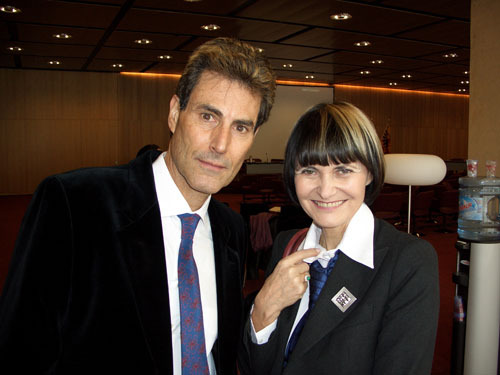 “Uri Geller did not just help break the ice with the skills that have made him famous – a considerable number of bent spoons line the road that led to this agreement,” said Swiss foreign minister Micheline Calmy-Rey. “He has also played a pivotal role in helping everyone focus on the main objective and overcoming differences over secondary details at key junctures,” she told the assembled dignitaries. Later on in Geneva he read a speech from the organization pledging to address Syria’s humanitarian concerns to a 192-nation conference to approve a new Red Cross (Red Crystal) emblem that would enable Israel to join the movement after nearly six decades of exclusion. 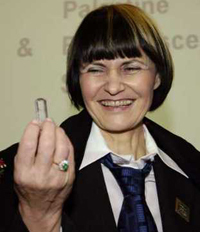 Swiss Foreign Minister Micheline Calmy-Rey holding the crystal, which was originally from Uri Geller’s pocket, given to and passed on from Noam Yifrach; chairman of Magen David Adom (Red Star of David) at the signing ceremony at the International Conference Centre in Geneva, Switzerland, November 28, 2005. Geneva, Switzerland 2005. 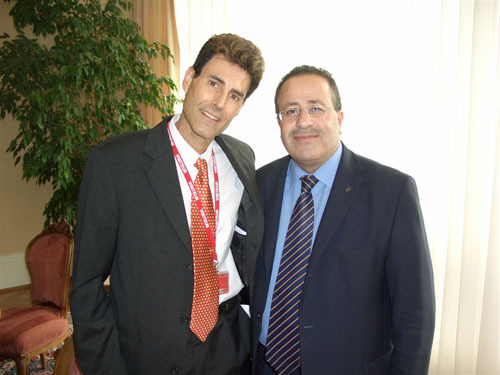 Uri with Dr. Mohammed Al-Hadid, Chairman, Standing Commissioner of the Red Cross and Red Crescent. Geneva, Switzerland 2005. 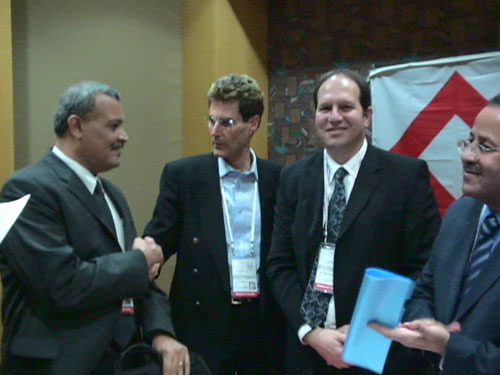 With Younis Al-Khati, President Palestine Red Crescent Society. Seoul, Korea 2005. 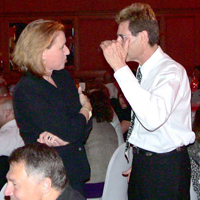 Bonnie McElveen-Hunter, Ambassador of the United States of America and Chairman of the US Red Cross. Seoul, Korea 2005. 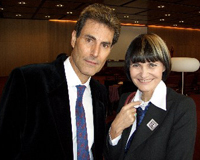 At the signing ceremony: Uri Geller, Anna Segall, Federation Representative in Israel. 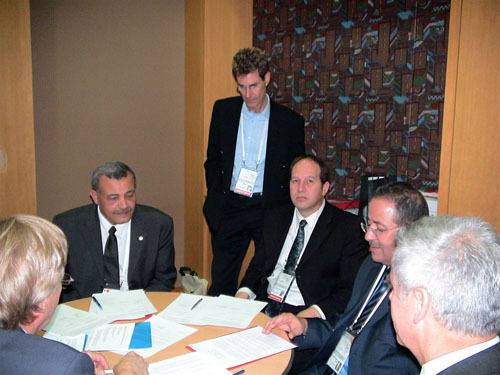 Yael Ronen, International Legal Advisor. 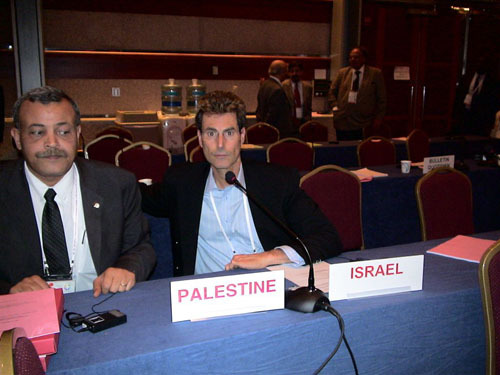 Moshico Elbaz, Member of the Board, Magen David Adom Younis Al-Khatib, President Palestine Red Crescent Society. 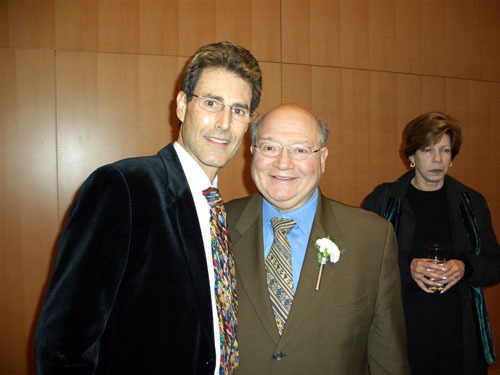 Dr. Noam Yifrach, President, Magen David Adom. 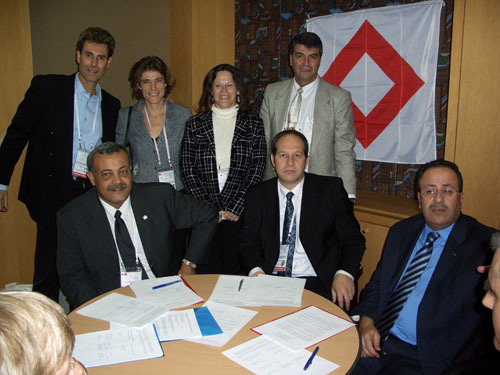 Dr. Mohammed Al-Hadid, Chairman, Standing Commissioner of the Red Cross and Red Crescent. 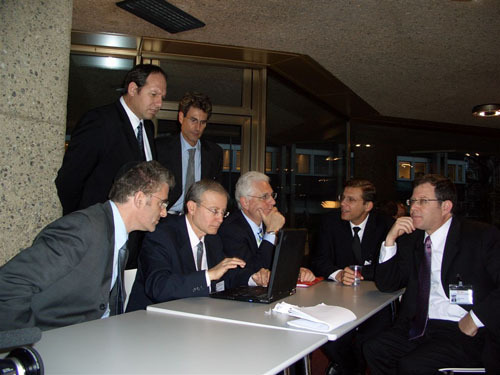 Geneva, Switzerland 2005. 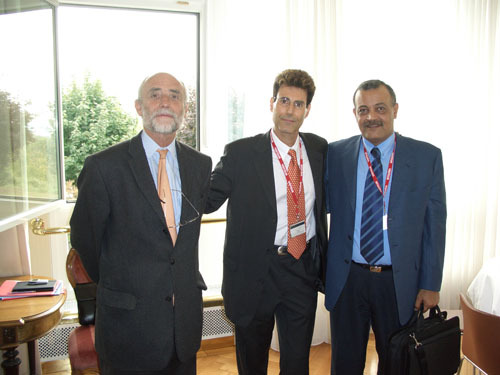 Uri meeting the Syrian Ambassador Bashar Ja’afari. Seoul, Korea 2005. 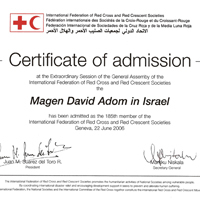 In deep negotiation between Megen David Adom and the Palestine Red Crescent with the help of the Swiss Government and the Red Cross. From L/R Ambassador Didier, DFA FEDERAL DEPARTMENT OF FOREIGN AFFAIRS Ambassador at Large for the Emblems of the Geneva Conventions, Younis Al-Khatib, President Palestine Red Crescent Society, Jean-Christophe Sandos, International Committee Red Cross, Uri Geller, Ambassador Christopher Lamb IFRCS, Dr. Noam Yifrach, President, Magen David Adom. 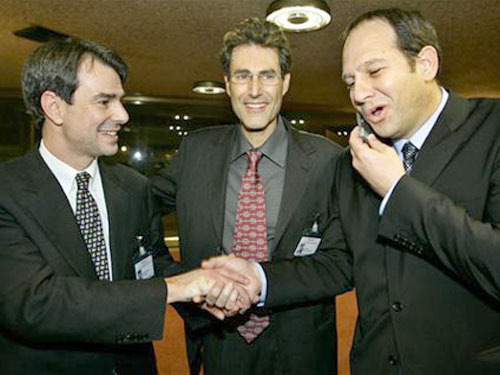 Geneva, Switzerland 2005. 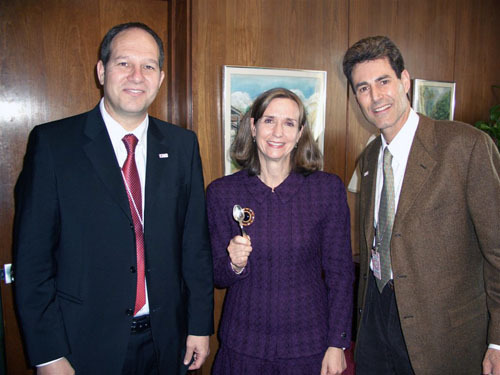 Uri is handing a bent spoon to Younis Al-Khatib, President Palestine Red Crescent Society. 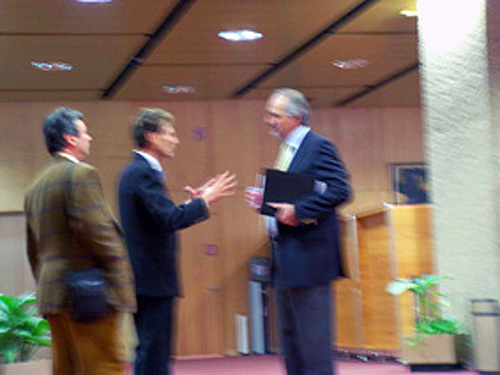 Geneva, Switzerland 2005. 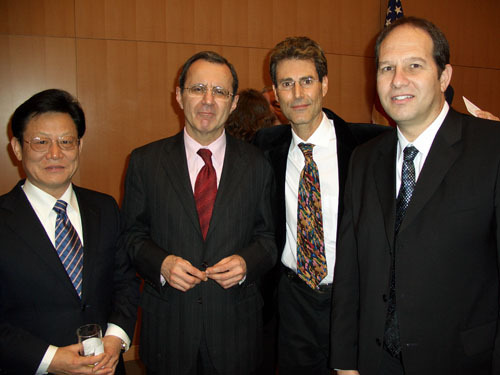 Ambassador Sha Zukang of China, Jeffrey Kovar Legal advisor to the United States of America Mission and Dr Noam Yifrach Head of Magen David Adom Israel. Geneva, Switzerland 2005. 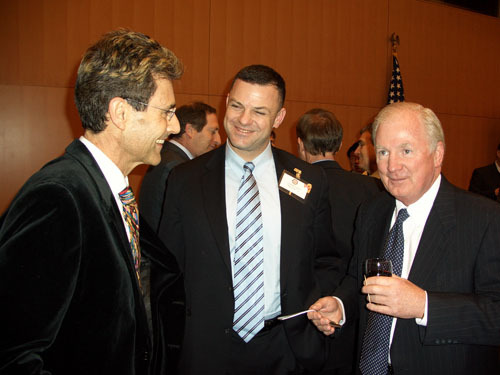 US Ambassador Kevin E. Moley and Lieutenant Colonel United States Marine Corps David Gurfein having a conversation with Uri Geller. 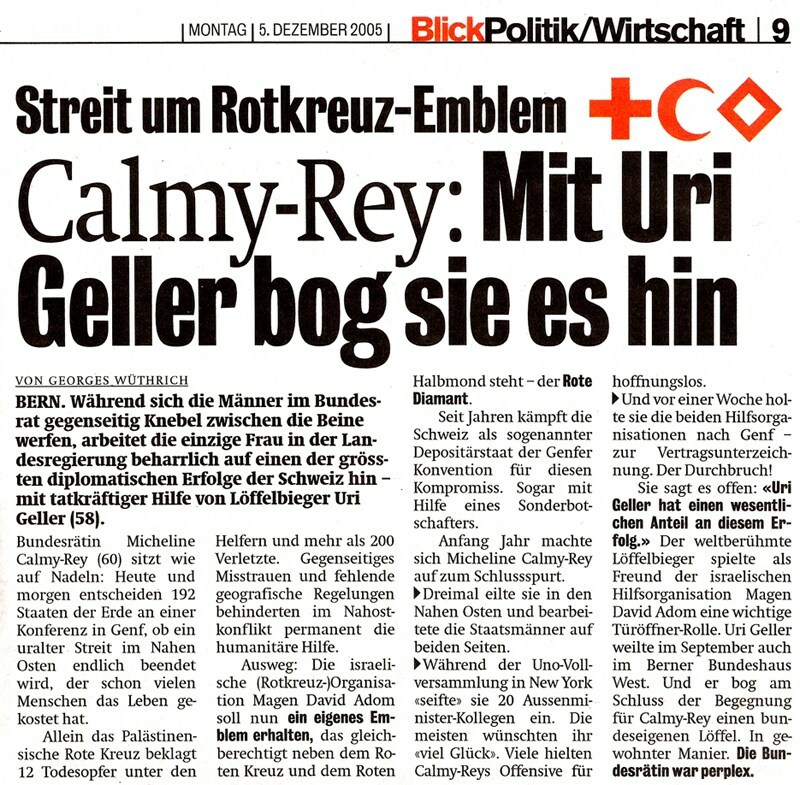 Geneva, Switzerland 2005. 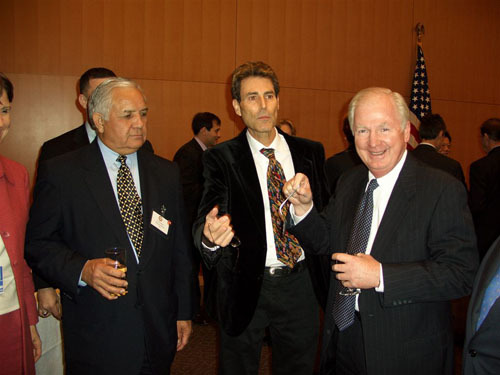 Uri Geller and British Ambassador Nick Thorne. 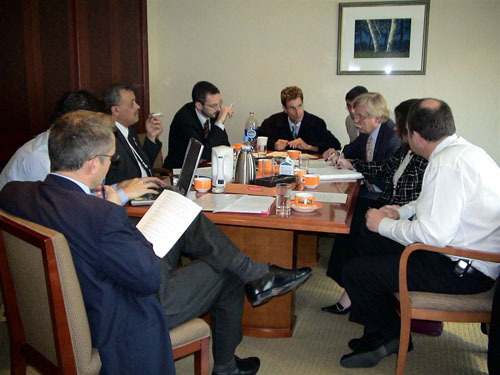 Washington DC, State Department 2006. 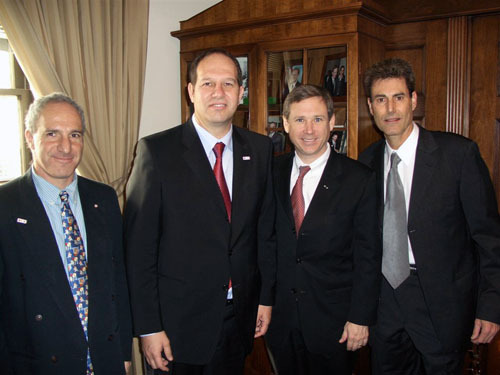 With Dr. Noam Yifrach and Paula Dobriansky – Under Secretary of State for Democracy and Global Affairs. 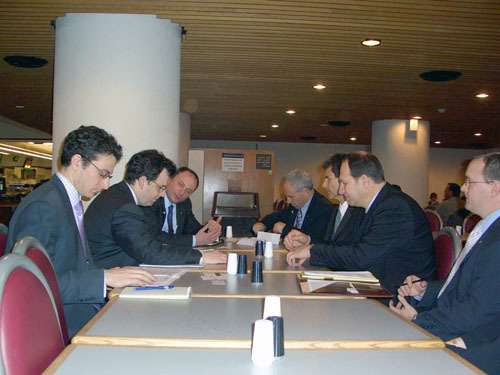 Washington DC, State Department 2006. 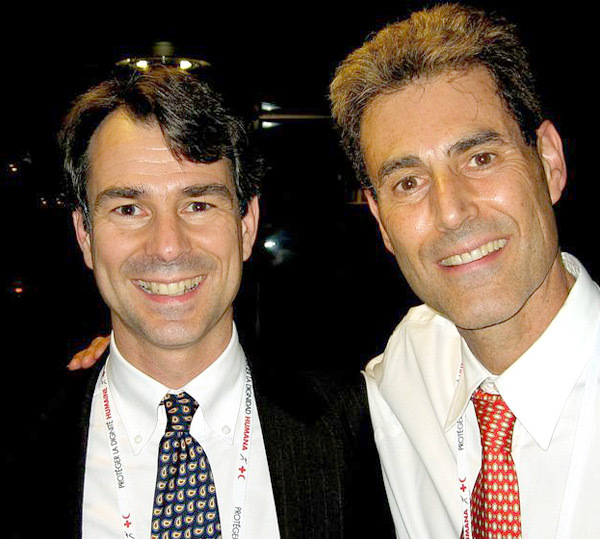 From L to R Josh Kirshner Legislative Fellow for Senator Hillary Rodham Clinton and Andrew J. Shapiro Senior Defence and Foreign Policy Advisor for Senator Hillary Rodham. 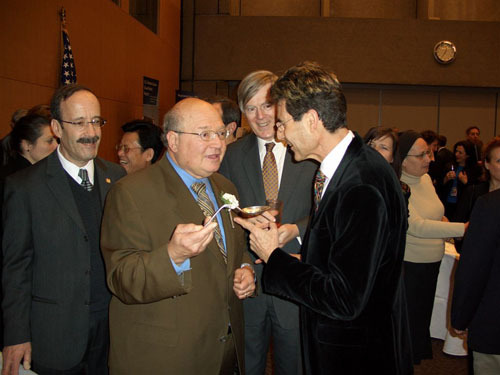 As the Chairman of Magen David Adom (MDA), I am proud to be here in this Diplomatic Conference where we hope that the problem that has troubled the Movement as a whole, and my national society in particular, may finally find a solution. I would like to express my deep thanks to you Mr. President and to the many States and individuals, as well as the ICRC and the Federation, who have worked so hard in order to make this possible. 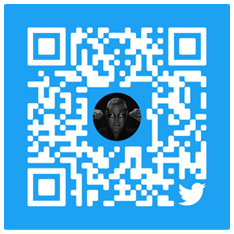 I will be frank and admit that I have little background in the political and diplomatic issues that arise in a conference of this nature. 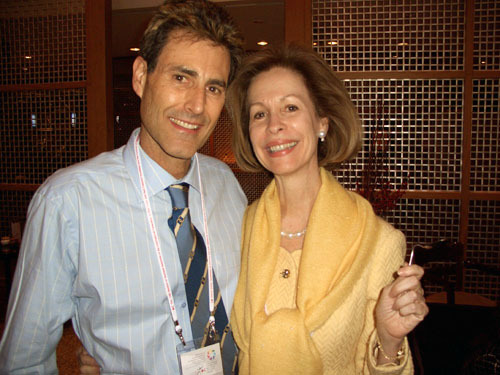 I am a doctor by training, and the Chairman of MDA as a volunteer. 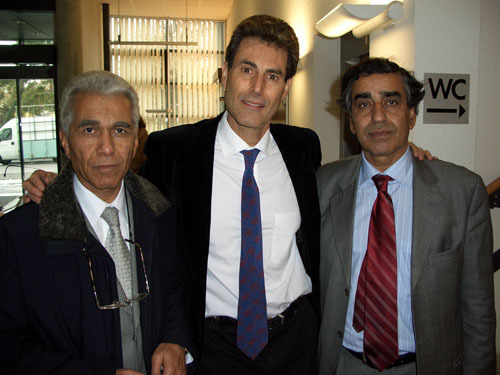 I come from the world of the Hippocratic oath, which binds me to treat the ill and the needy without discrimination. It is for this reason that I have constantly tried to ensure that political issues will never get in the way of the humanitarian mission that we have been entrusted. 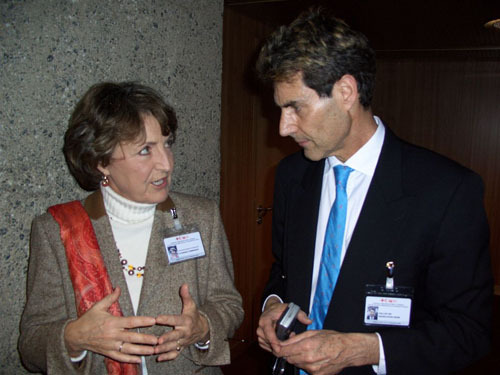 The guiding principle for all of us, I think, was best said by the Swiss Foreign Minister, Mrs. Calmy-Rey, who spoke of the profound conviction that “all human beings share something called humanity that overcomes even the most extreme differences”. In taking this approach, I have been joined by other national societies. 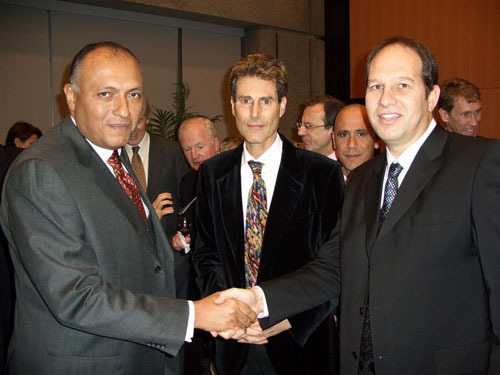 In particular, I must pay tribute to my colleague Younis Al-Khatib, the President of the Palestine Red Crescent Society. 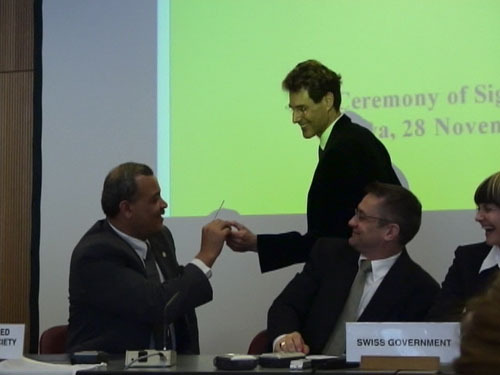 Over recent weeks, with the help of the Swiss Government and the ICRC and the Federation, we have managed to reach an agreement between our societies which I genuinely believe will bring real benefits to the work of both societies. 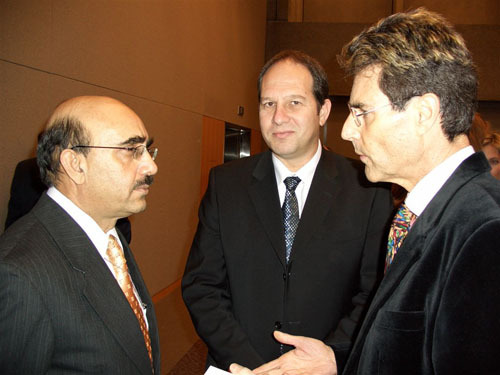 In order to reach this agreement both of us had to make some painful compromises, and to find a way to deal with some of the most sensitive issues between our peoples. 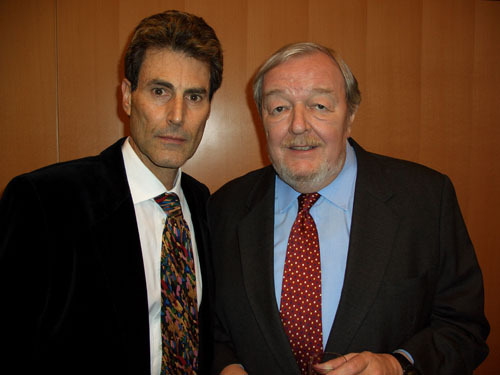 But we succeeded in reaching an agreement and we now face the true test of putting this into practice. 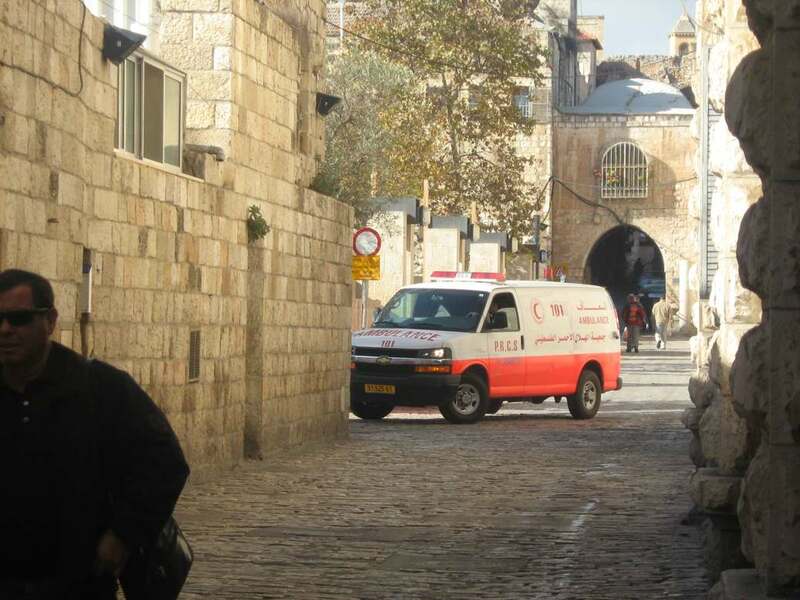 MDA has undertaken to lobby the Israeli government on issues important to the Palestine Red Crescent Society (PRCS) and we take this job seriously. 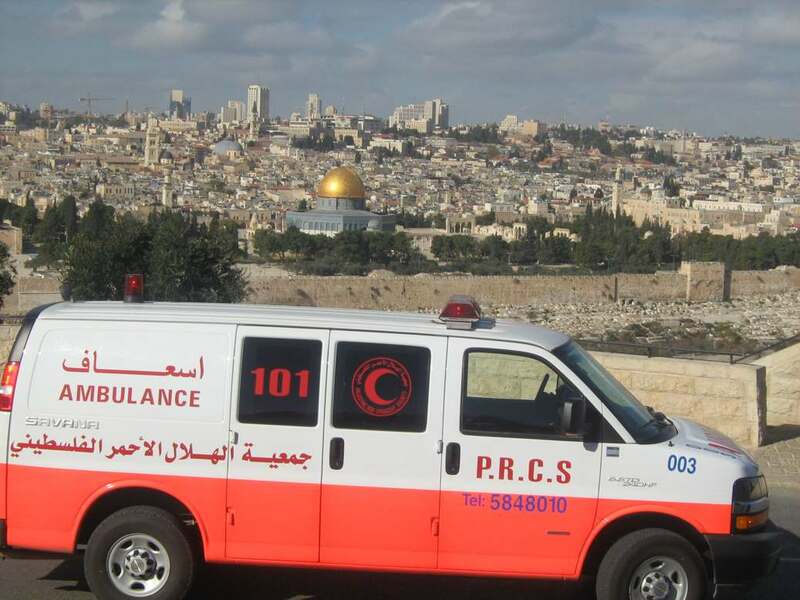 I am pleased to say that so does the Israeli government, and only yesterday I was pleased to learn on one of the most sensitive issues – the access of PRCS ambulances to East Jerusalem, our lobbying on behalf of PRCS has already borne fruit. Although the issues between us are different and although I have not had the opportunity to develop a relationship with my Syrian counterpart, I see no reason why a similar approach cannot overcome any obstacles between MDA and SARCS. As I have written to you, Mr. President, I firmly believe that there is no issue facing our two societies which cannot be addressed through a genuine spirit of dialogue and I am willing to meet with my Syrian counterpart, Dr. Attar, at any time or place to move this forward. 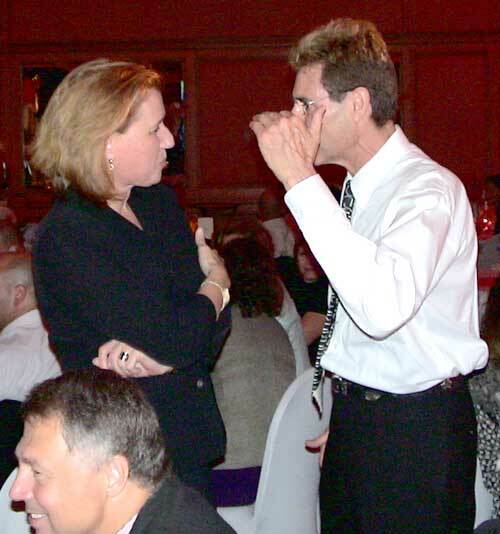 Some of you may know that in our efforts to move things forward we have been accompanied by my good friend, Uri Geller. 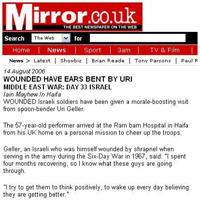 If Uri, with his remarkable skills, stands for one thing, it is the principle of mind over matter. I truly believe that if we dedicate our minds to the principles to which we are committed, we can triumph over any of the differences between us, and fulfill the holy mission that our peoples have entrusted with. 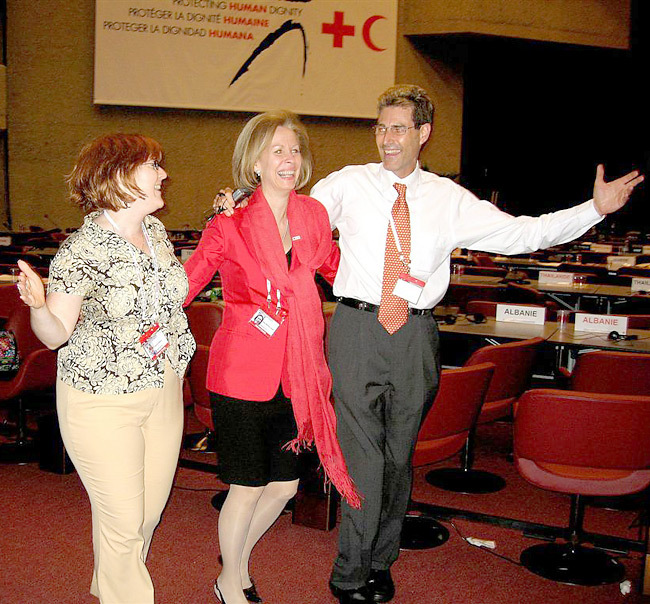 In the early morning hours of December 8 in Geneva, Switzerland, diplomats from over 100 countries voted overwhelmingly to adopt the Third Additional Protocol to the Geneva Conventions to create a new symbol for the Movement – the red crystal. 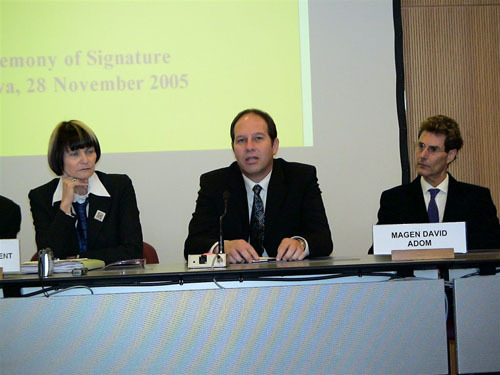 With the adoption of the Protocol, a long-standing barrier to the admission of the Israeli society – Magen David Adom (MDA) – was removed. 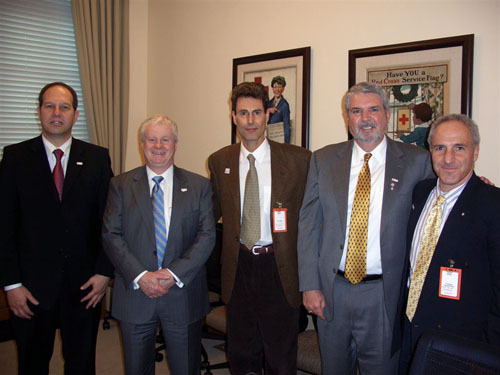 For over 50 years, the American Red Cross has been working with our U.S. and international partners to obtain admission of MDA to the Movement. 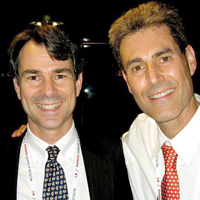 Although much work remains before the hoped-for admission of MDA in June 2006, the adoption of the Red Crystal signals the attainment of a critically important milestone. On behalf of the American Red Cross, I want to thank a number of people who played a critically important role in adoption of the Red Crystal. We are profoundly grateful for their personal interventions as well as those of their governments as they actively sought the successful resolution of the MDA issue. Never accepting failure as an option, they and their governments worked tirelessly with the parties as well as interested societies to ensure that the goal of MDA’s admittance into the Red Cross and Red Crescent Movement remained a very real possibility – a possibility that unfortunately had eluded the Movement for far too long. 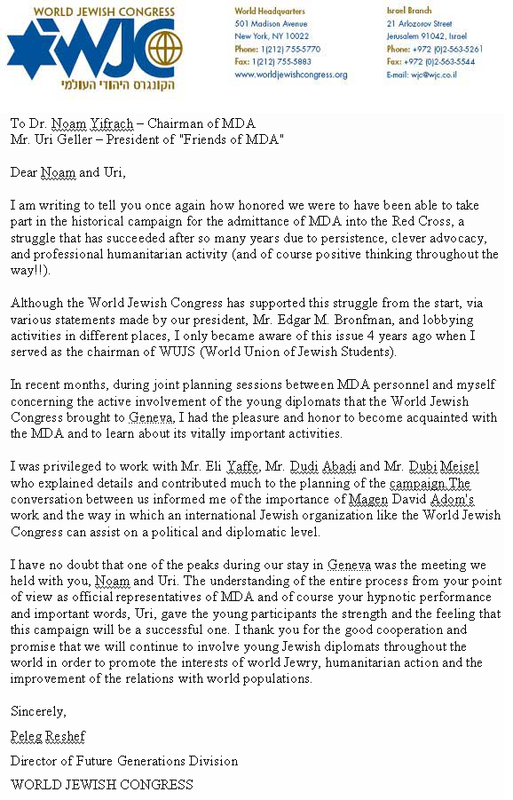 In addition to the individuals named below, I would also like to highlight the courage and wisdom of Dr. Noam Yifrach, Chairman of MDA and Dr. Younis Al-Khatib, President and General Director of the Palestinian Red Crescent Society. Were it not for their very strong commitment, dedication and courage, this successful conclusion would not have been possible. They are truly the unsung heroes of this entire effort. President Bush today signed legislation adopting the Red Crystal legislation and the 3rd Protocol. There is also mention of the role this played in admission of MDA. It took a year but the US finally got there. 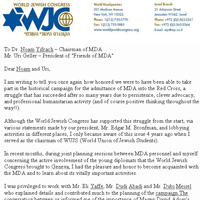 The transcript of the debate at the U.S House of Representatives where the House resolved to congratulate MDA for achieving membership in the Movement. 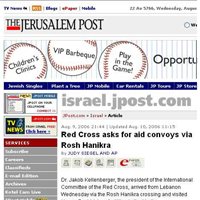 ” …to the admission as a full member of Israel emergency rescue service, Magen David Adom. I thought you would enjoy these pictures. 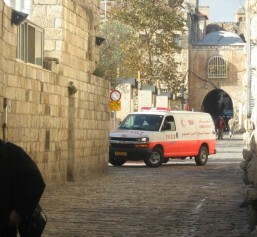 One picture shows a PRCS ambulance in the Old City. 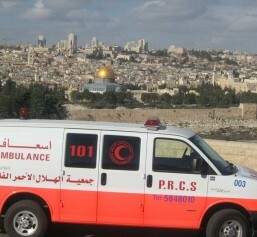 The other picture shows an ambulance overlooking the Temple Mount. Very rich in symbolism. 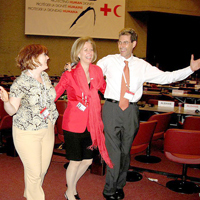 This is one of the highlights in my career as a negotiator in humanitarian projects.